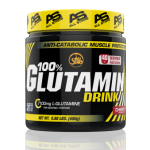 L-glutamine is an amino acid with the special ability to run blood circulation and reach the brain. 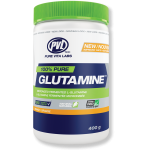 Into the brain, glutamine is converted to glutamic acid and increases energy reserves while it can detoxify the body from excess ammonia. It contributes to good intestinal and digestive health and must be supplementary taken by those who follow any type of physical training since the training stress the body undergoes can reduce glutamine levels. 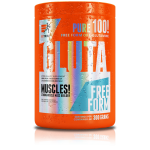 ALL STARS L-GLUTAMIN DRINK 400GR.